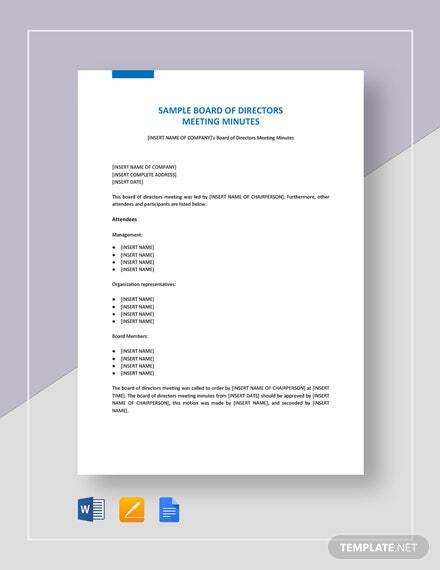 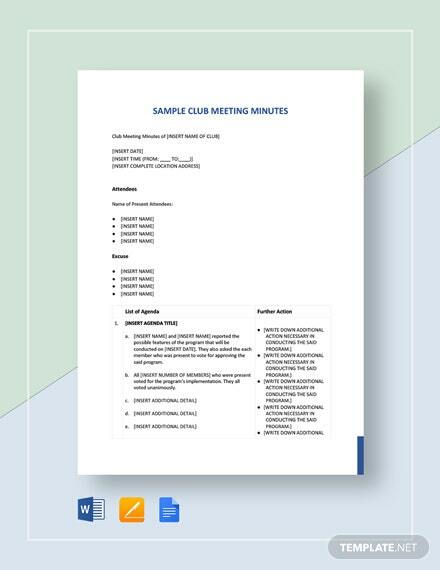 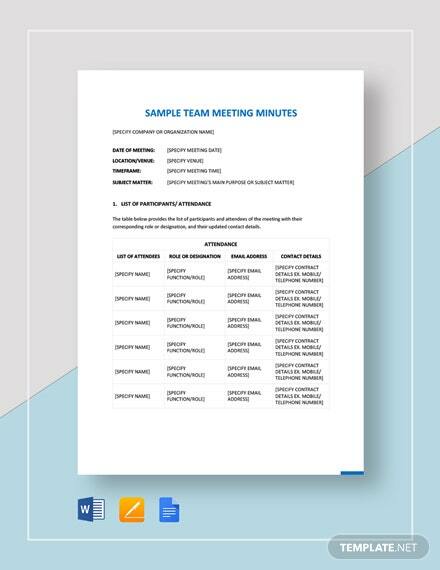 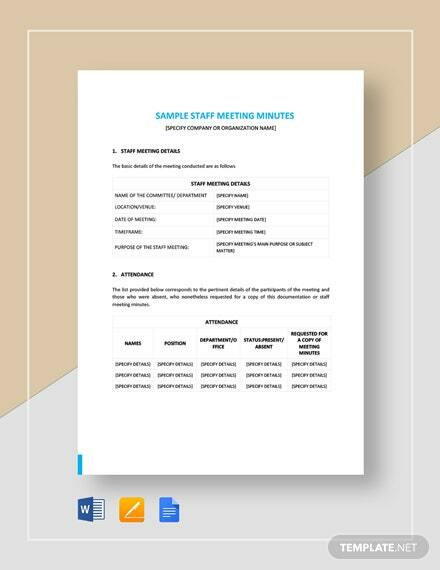 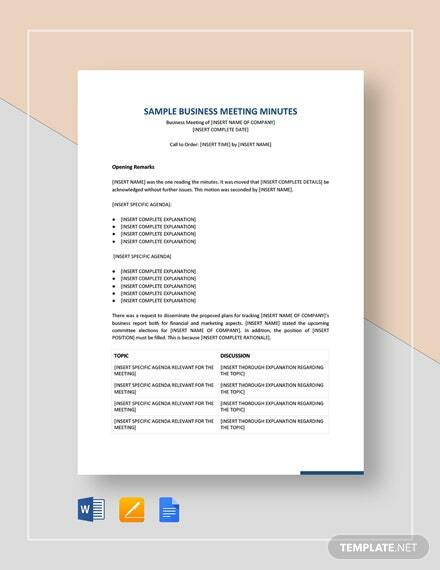 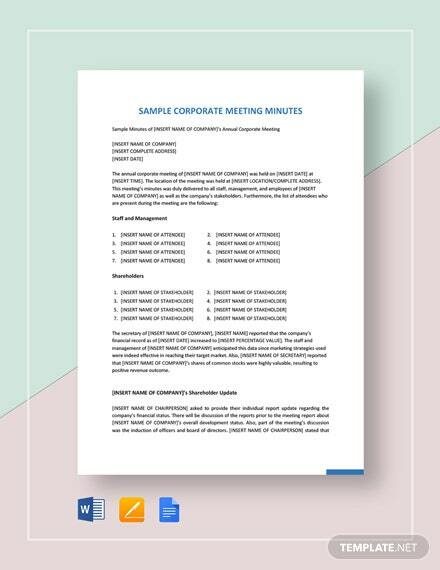 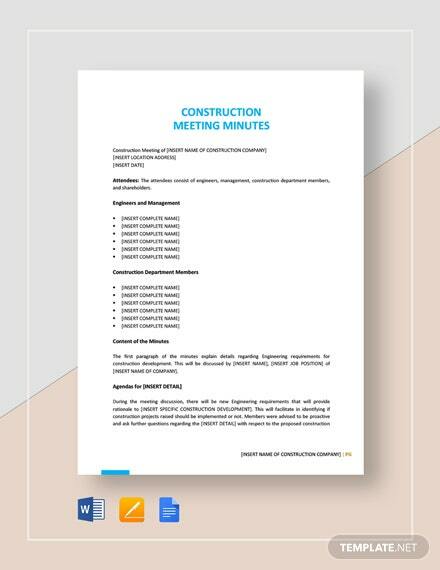 Get to document minutes for your company’s staff meetings with this well-formatted template. 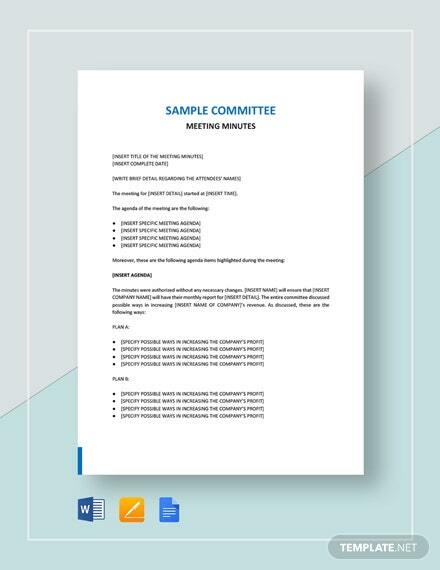 Easy to edit and fully customizable in all versions of MS Word. 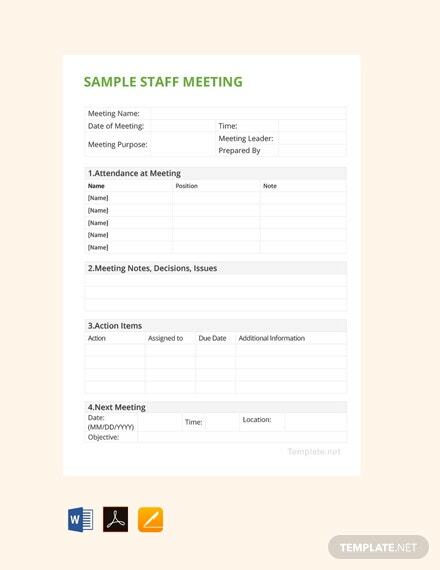 Get to +More be efficient in recording meetings with your personalized sheet.